BRISBANE, Australia -- The remains of the third and final U.S. Marine killed when a military aircraft crashed off the east Australian coast have been recovered, the Marine Corps said on Friday. There were 26 people aboard the tilt-rotor MV-22 Osprey when it plunged into the sea near the Queensland state city of Rockhampton during military exercises on Aug. 5. Marine 1st Lt. Benjamin Cross, 26, of Oxford, Maine; Cpl. Nathaniel Ordway, 21, of Sedgwick, Kansas; and Pfc. Ruben Velasco, 19, of Los Angeles, were killed in the crash. Ordway and Velasco's remains were soon recovered, transferred to Hickham Air Force Base in Hawaii and were being sent on to their families. 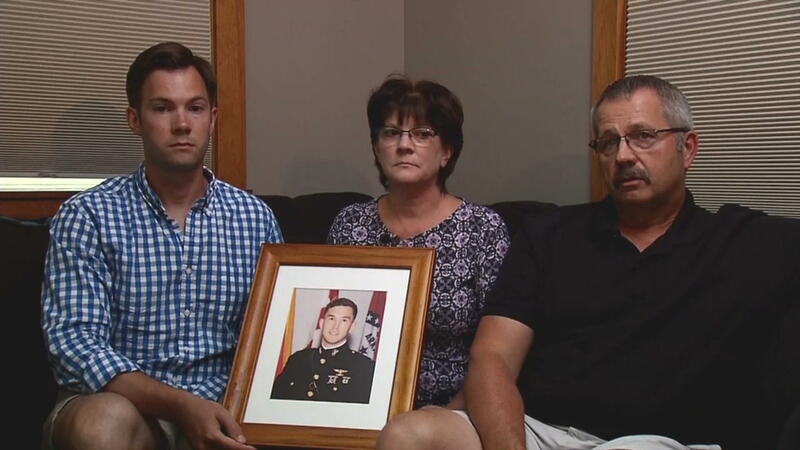 "Cross' remains have now been recovered and will also be sent to Hawaii," 31st Marine Expeditionary Unit 1st Lt. Joseph Butterfield said in a statement. He said that at Hickham, the fallen service members are prepared for transport to their final destination as determined by the families. Ryan Cross told CBS News earlier this month that his brother loved to fly and "was proud of being a Marine and of the aircraft he flew." Cross' mother Valerie said her family has "so many awesome memories. But to know that we will never make any more with him... is unbearable." The 23 others who were on the aircraft were rescued. Lt. Cross' father Robert said his son believed the Osprey aircraft had been unfairly maligned. "He thought it got a lot of bad publicity because he really enjoyed flying it, and it was something he always wanted to do," Robert Cross told CBS News' David Martin.